Mario came round and measured up for a roller blind for the kitchen and vertical blinds for the rest of the house for one of our rental properties. He offers great advice and service with no pressure. The blinds were ordered and fitted with no hassle and no problems. 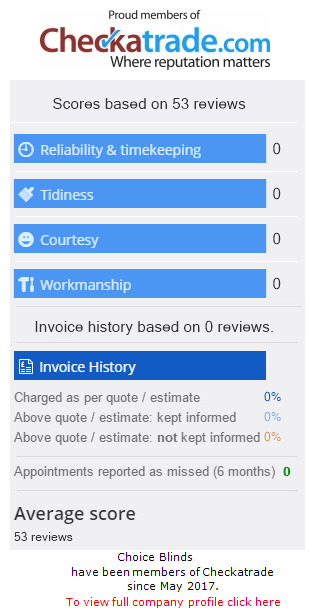 A brilliant service and a brilliant price too! Highly recommended. Expertly fitted. Very reasonable.